Fujitsu Frontech North America has partnered with Positek RFID LP to form a new subsidiary company in order to expand its market in washable RFID technologies called Positek RFID Inc. Positek RFID LP creates and installs custom-designed laundry management solutions that enable companies to improve productivity by reducing labor and merchandise costs and accurately tracking, sorting and managing inventory. Jeff Markman from Positek LP will continue his leadership role, as president of the new company, reporting to the board of directors. Herb Markman will assume the position of Chief Technology Officer. Radio Frequency Identification (RFID) is a powerful technology that is used to track everything from airline parts to clothing and accessories purchased from your local department store. Washable RFID enables garment and linen rental companies, as well as hotels and hospitals, to track their inventory to ensure that adequate stock is available when and where it is needed, as well as to reduce loss. 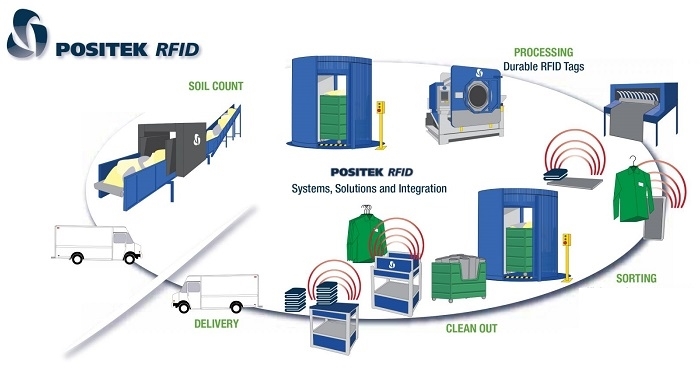 Positek is a leader in developing state-of-the-art RFID tracking solutions for the textile maintenance market. 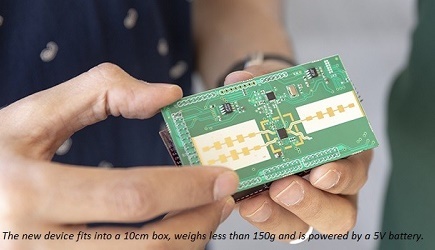 Fujitsu has significant technology in Digital Solutions and the Internet of Things (IoT), which connects items and systems to allow seamless exchange of information about location, environment and the history of an item. IoT is a core enabler for the future hyper-connected businesses and a key driver of digital transformation and business innovation. The combined resources will allow Positek RFID Inc to expand to other markets outside of the textile maintenance industry. Fujitsu’s RFID linen tags are very popular around the world. The Fujitsu WT-A533 washable UHF RFID Linen Tag is flexible, soft and durable, making it ideal for flat linens and garments processed in industrial laundries. The new semi-transparent WT-A533L washable UHF RFID Fashion Tag is only 7 mm wide, which enables fashion apparel manufacturers and garment rental companies to easily insert the new tag into garments and high-fashion items without using a pouch or heat-seal tape. Both the Fashion Tags are currently available globally.